I really enjoyed this short, it had a lot of aesthetic homages to the original Alien film as well as Prometheus and Alien: Covenant. Opening on the planetoid was a nice touch, it was kind of reminiscent of Alien: Resurrection with the skewed and changing imagery which conjured up nightmares of Alien forms. The planet has a dust storm and the planet is completely flat and made of basalt. The Snark is full of dust, it overheated a full cell and has to get maintenance. The dust and the planet is grey. 2 hour rotation for the planet, because it is 120km in diameter. The main title sequence begins. ALIEN. The sunrise reveals the Snark exterior. The transmission repeats itself every 32 seconds, in Alien it is a acoustical beacon that repeats in intervals of 12 seconds. Broussad says “Are we just going to sit around and wait for an invitation?,” I think this may be a homage from part of Prometheus when Elizabeth Shaw and Charlie Holloway interpret the cave paintings and constellations as an invitation from the Engineers to find them. Roby talks to Faust about fixing the engines, in Alien Ripley goes down to Engineering to address the issue. There is less interaction vs what happens in Alien where Ripley talks to Parker and Brett, which sets up more time for characterisation. The Planetoid atmospheric composition is 10% Argon 85% Nitrogen 5% Neon and some trace elements. Air Pressure is 10 to the 4th dynes per square centimeter. The Planet is completely dead, no micro organisms. There’s no water in the atmosphere but they don’t need pressure suits, just a breathing mask. The aviation mask has said to influence the design of the space jockey, this has also been used as the facehugger design. 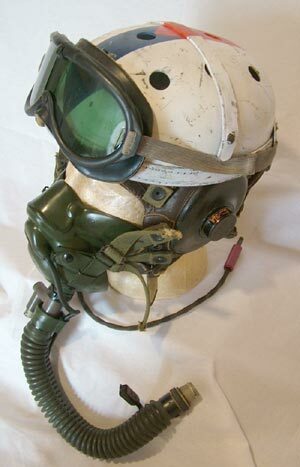 Beautiful specimen of early USAF rigid flight helmet used on P-80 during the late of the 40s. Note the A-14 oxygen mask with the special fitting used for emergency oxygen bottle connection. The dust filled atmosphere is described as looking like deep underwater, which may have influenced the style of the space suits. The Derelict is described as mushroom shaped. They enter into the ship through the base just like in Alien: Covenant. Data stick design was revisited in Prometheus. They climb up a shaft to find the space jockey. In Alien they use climbing gear to climb down into the egg chamber, but in the script they discover the Urns first then climb upwards to find the Space Jockey. The Space Jockey at the helm of the Derelict. My theory on what the Triangle means in the original Alien Script and how it is used in Prometheus and Alien: Covenant. They use the data sticks to get a 3D scan of the structure and reproduce it holographically for the ship to study. The spectrographs scan the Pyramid interior to project a 3D model to the USCSS Prometheus just like in the original Alien Script. Roby brings the Space Jockey’s Skull back to the Snark. Broussard makes a rough guess that the Space Jockey could have been dead for hundreds of years, but Dallas says that the Space Jockey is fossilised. (takes the skull) Alas, poor Yorick! I knew him, Horatio, a fellow of infinite jest, of most excellent fancy. He hath borne me on his back a thousand times, and now, how abhorred in my imagination it is! My gorge rises at it. In Alien: Covenant David plays out a scene from Hamlet during the Flute Scene. Alien TV Series was in development?